Nature’s Nest Tiny Homes was created on the simple idea that a home should be a place that accommodates an individuals most essential needs to create happiness and bring adventure. To bring this idea into fruition, Melanie Gajewska (founder) has attended various workshops and events over the last three and a half years to continually gain knowledge on the tiny house movement and become involved in its purpose. 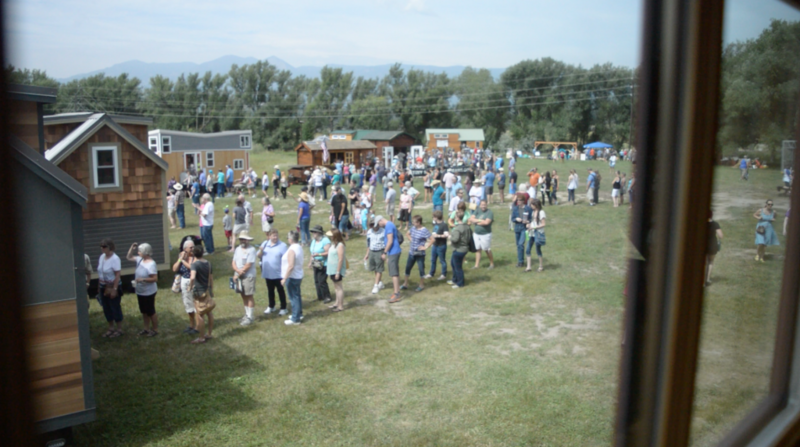 The tiny house adventures officially began with the Tumbleweed Tiny House workshop in Albuquerque, New Mexico during June of 2014. After getting stuck in a Tornado in Clovis, New Mexico on the way to the workshop, Melanie was introduced to the basic essentials of building a tiny house from what tools to use to what utilities and systems to consider. This workshop was facilitated by Ella from Little Yellow Door. The second workshop attended by Melanie was more “hands-on.” This workshop was with “Deek” Diedricksen from Relax Shacks in Putnam, CT. At this workshop we learned the basics of framing as we constructed an “Art Cabin” for an Art Gallery. This was the first of many workshops to come with Deek and his gang. Each workshop held by Deek is always a pleasure to attend. He not only brings a plethora of knowledge, but he brings together a good group of people! Other workshops of Deek’s that Melanie has attended include a workshop around the outskirts of Boston, MA in his art studio as well as his infamous tiny house summer camp held in Vermont (this one is highly recommended). 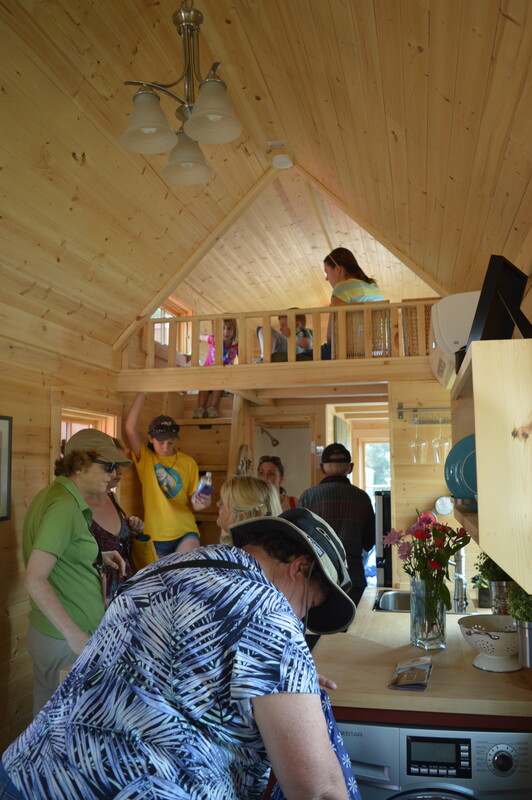 Furthermore, other workshops that were attended by Melanie include a workshop with Vera Struck in her Silver Bullet Tiny House. Vera’s tiny house is particularly known for her sourcing of environmentally-friendly materials and sustainable systems. 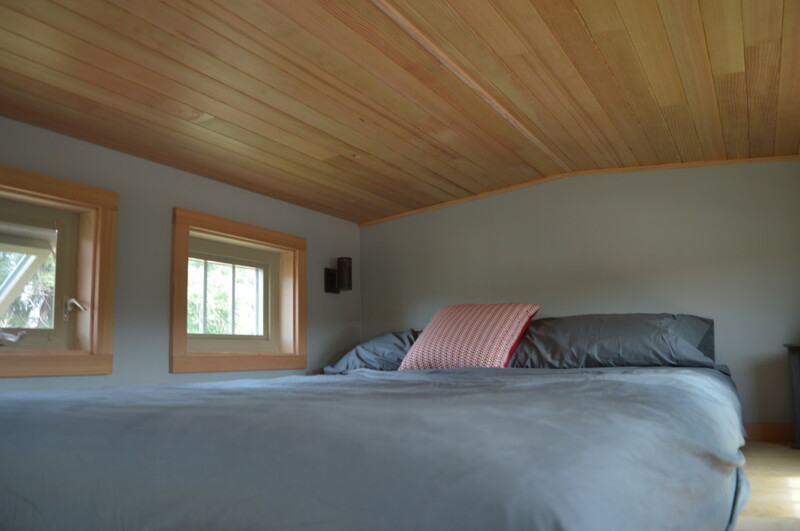 The Silver Bullet Tiny House has an incredible design that Vera constructed herself. Vera is a reliable, accurate, and useful resource for those who are seriously considering the endeavor of building or owning your own tiny house. This resource, workshop or not, will serve you well. Another way that Melanie has engaged with the tiny house movement is the Tiny House Jamboree. She attended the first ever Tiny House Jamboree in 2015. Her reflections of the Jamboree are that it was beneficial to experience and compare the various types of tiny houses over a period of a few days. From sitting in the lofts to sitting around a countertop space, it was useful to compare the different types of floor plans live, in action. (Especially with many people standing around you!) 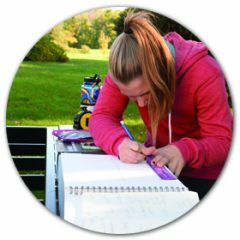 In addition to the community of tiny houses at the Tiny House Jamboree, the extensive list of speakers that are the top-dawgs in the tiny house movement also make it worth attending. The involvement with the movement is never-ending, it is always continuing. As the tiny house industry grows, it will be interesting to see how the tiny house movement grows with it, who knows what other events will arise from the movement!